A computer network is a logical or physical interconnection between two or more computers such that they could communicate with each other. The process of transferring data between computers is known as data communication. The data and information can be transmitted over significant distances through the computer network. The computers on the network can share hardware devices like printer, scanner etc. Data and software can be shared within the computer on the network. Files can be transferred from one computer to another computer. Computers in the network can communicate with each other. Data and information may be stolen by computer hackers. If any computer in the network gets affected by the virus, there is a high chance of spreading a computer virus. Computers on the network have to depend on the server. All computers connected to a network that participate directly in network communication are classified as hosts. Hosts can send and receive messages on the network. In modern networks, computer hosts can act as a client, a server, or both. The software installed on the computer determines which role the computer plays. It is a hardware device which contains electronic circuitry needed to ensure reliable communication between workstation and server. Communication media is transmission media where data signals are transmitted. There are two main types of communication channels. They are: Guided or Bounded or Wired Communication Media and Unguided or unbounded communication media. 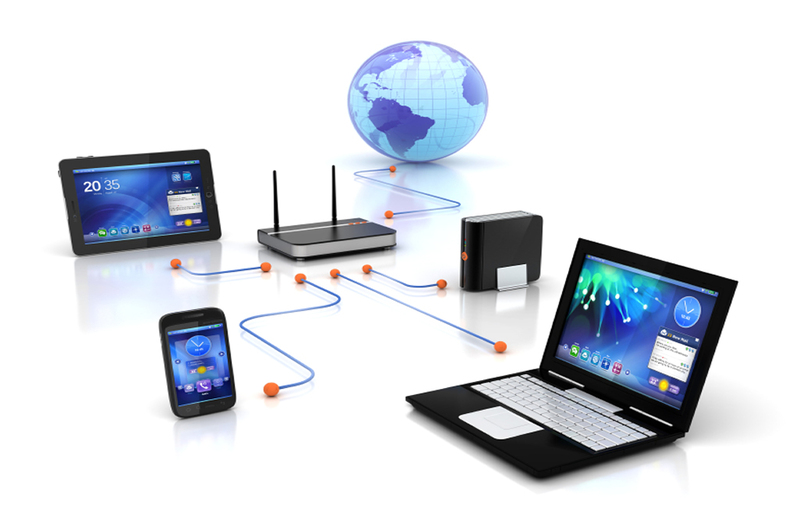 Connecting devices such as hub, switch, bridge, repeater etc are necessary for networking-order to connect one computer to another computer. A protocol is a set of rules for communicating across the internet. A computer network is a logical or physical interconnection between two or more computers such that they could communicate with each other. The process of transferring data between computers is known as data communication. The data and information can be transmitted over significant distances through computer network. What is computer network? List its any three advantages. Computer network is a group of interconnected computers through transmission media in order to communicate and share resources like hardware, data and software. Data and software of computer can be shared with other computer on the network. Only the authorized user of a network can use the facilities of the network. Computers on the network can communicate with each other. Computer Network reduces expenses of an office. Justify this statement with an example. Computer Networks can allow businesses to reduce expenses and improve efficiency by sharing data and common equipment, such as printers, among many different computers. At the same time, the network may be connected by cables, telephone lines, infrared beams etc, which is cheaper and helps to reduce the expenses. List the disadvantages of computer network. Data and information may be stolen by computer hackers if the security of the network is not reliable. If any computer in a network gets affected by computer virus, there is the high chance of spreading computer viruses on the other computer. Computers on the network have to depend on the server computer for resources. This sharing of information may leak the privacy of other clients. What is communication protocol? List any four protocols. A communication protocol is a set of rules by which computers on the network communicate with each other. _________ is a set of rules for communicating across the internet. Which of the following is not the type of protocol? Which of the following is not the connecting device? ____________ is transmission media where data signals are transmitted. __________ is a hardware device which contains electronic circuitry needed to ensure reliable communication between workstation and server. Any Questions on 'Computer Networking '?